TOKYO (March 28, 2919) – YUKAI Engineering Inc., a Tokyo-based robotics startup known for creating robots that bring joy to life, has announced its tail-wagging pet robot, Qoobo, has been honored with the prestigious Red Dot Design Award 2019. Qoobo, a robotic pillow with a lifelike tail that wags in response to the user’s stroking and rubbing, was selected by Red Dot as a winner in the Product Design category out of more than 5,000 entries submitted to Red Dot from 55 countries. For six decades, the Red Dot Design Award’s expert juries have established the distinction “Red Dot” as one of the world’s most sought-after awards for quality design. 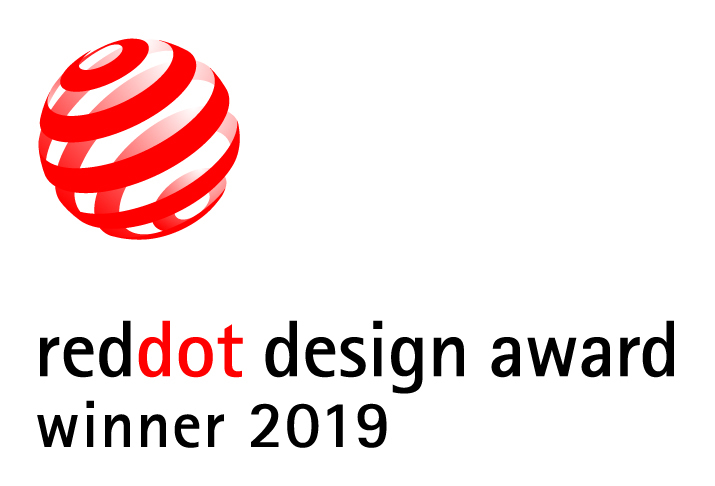 Following the July 6 award ceremony at Aalto-Theater in Essen, Germany, Qoobo will be placed on display worldwide by Red Dot in “Design on Stage,” an exhibit of awarded products at three Red Dot Design Museums in Essen, Xiamen, China, and Singapore. The Red Dot award comes as Yukai celebrates the successful launching of Qoobo into the Japanese and U.S. markets following the year-long preproduction process. The robot is designed to provide a sense of comfort in the way animals do to those who cannot own pets, including allergy sufferers and apartment dwellers. Qoobo became one of the most talked-about gadgets on the internet following its unveiling at CEATEC Japan on Oct. 3, 2017, netting more than 10 million online video views. The Kickstarter campaign for Qoobo in late 2017 raised 247 percent of the goal amount (approx. $110,000 USD). Yukai has sold 8,000 Qoobo units so far, including 5,000 units presold before the market release in late 2018. The idea for Qoobo came from a YUKAI staff designer who wished to have something waiting for her to come home at the end of a long work day while living in a pet-free apartment. Drawing inspiration from an animal’s tail, YUKAI created a robot that communicates solely through tail movements – without relying on sounds or facial expressions – to comfort humans in just the way cats and dogs would. The company’s engineers studied the animal tail and created a mechanism that closely mimics its movements. Qoobo has been recognized for numerous awards, including the “Best 100” in Good Design Award (Japan). YUKAI Engineering is a robotics startup that develops and sells products that make the world more “yukai” (fun) place to live. YUKAI’s award-winning products include Necomimi, a headband with fake cat ears that move in sync with the user’s brain waves (selected for Time magazine’s “The World’s 50 Best Innovations 2011” list), and BOCCO, a communication robot that keeps family members in touch with each other.